Learn how to break down a prime rib roast to create a ribeye cap and ribeye filet – two of the most flavorful steaks on the cow. 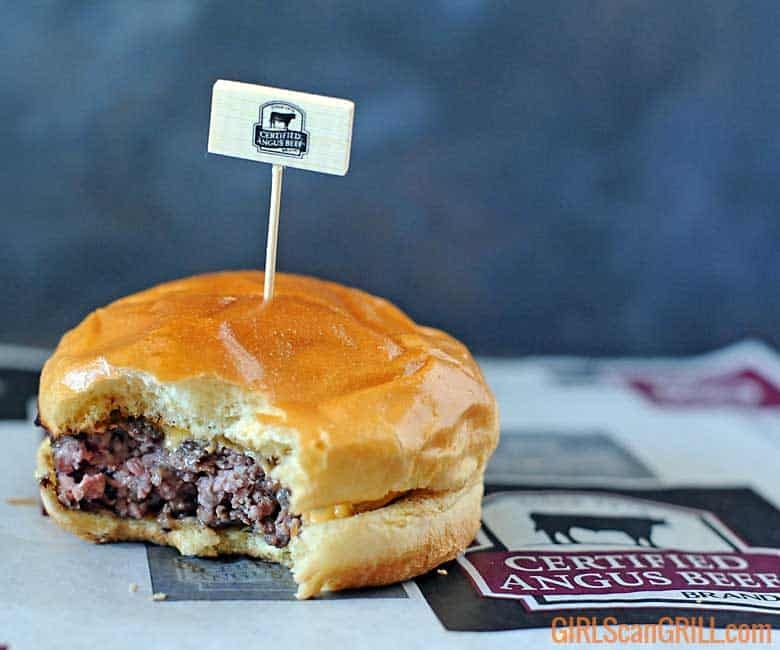 Disclosure: Certified Angus Beef® brand sponsored this post. Opinions are my own. When it comes to steak, the ribeye exceeds all other cuts of beef because it’s generous marbling provides unsurpassed flavor and tenderness. But did you know there is more to a ribeye than just the traditional steak? The ribeye is cut from a prime rib roast, or ribeye roast. This meat rests along the cows rib bones. 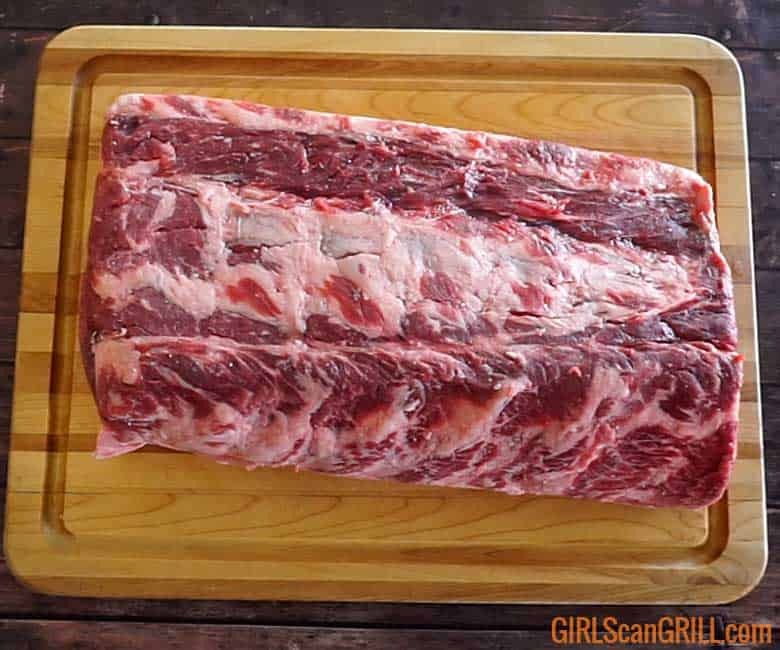 Most of the time, we buy this large cut for holidays and grill it whole. Occasionally, I’ll buy a whole roast and slice 8-10 ribeye steaks out of it. But today, I’m going to teach you how to create two new cuts of steak that are popular at high-end restaurants. 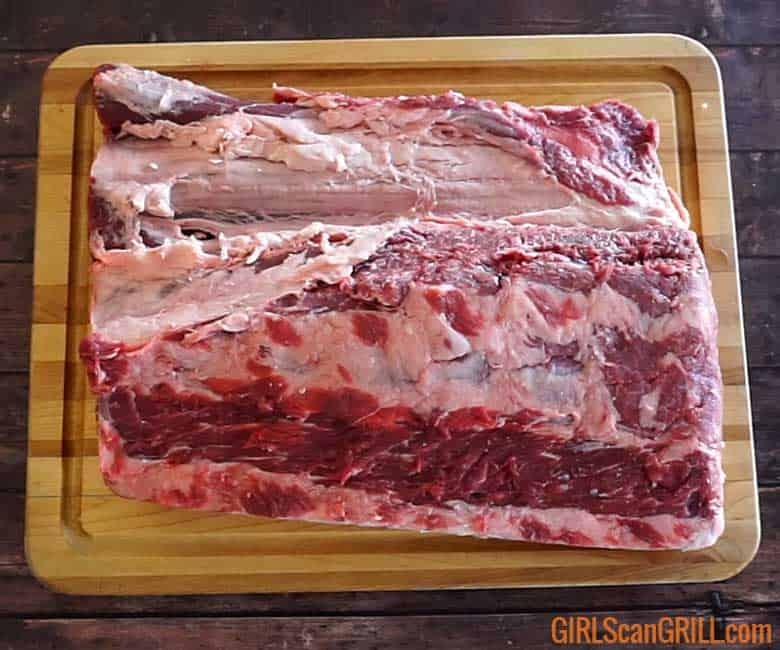 If you look at the picture below, you can see the natural seams that identify the separate muscles in the ribeye roast. 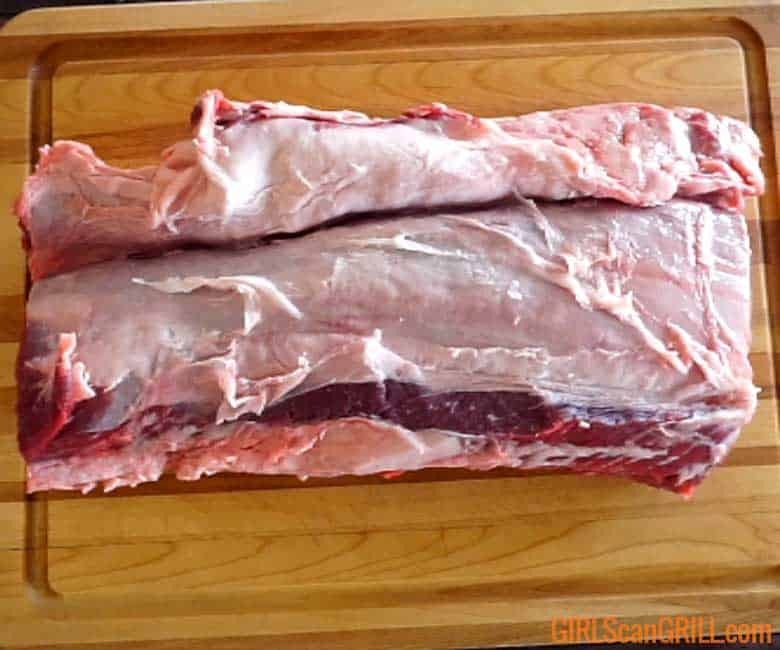 If you separate these muscles, you can divide the roast into two separate steaks – a ribeye cap and a ribeye filet. Let’s start with the cap. In my opinion, the ribeye cap, also known as spinalis dorsi, is the most coveted piece of meat on a cow. When I grill a full ribeye, I always eat this part first. 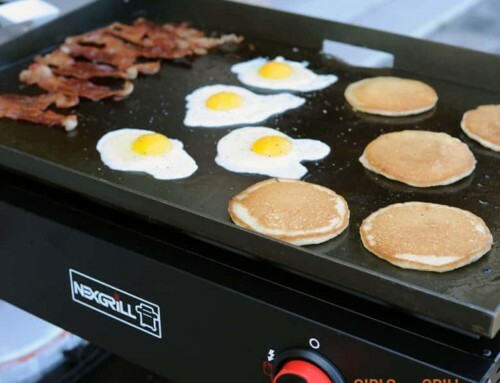 It’s where most of the fat is concentrated, and when it crisps up on the grill, it melts in your mouth. If you work your fingers through the seam where the fat separates the muscle, you’ll easily be able to remove the cap from the roast. (Watch the video above to see how it’s done). 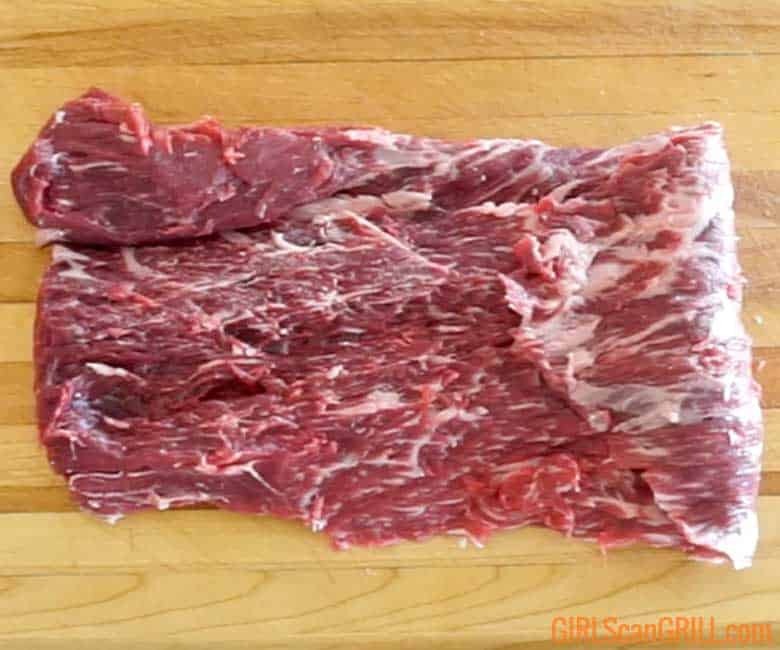 You’ll end up with a long thin piece of meat, similar in size to a skirt steak or flank steak. Trim both sides to remove excess fat and silver skin. One end will be thicker than the other. 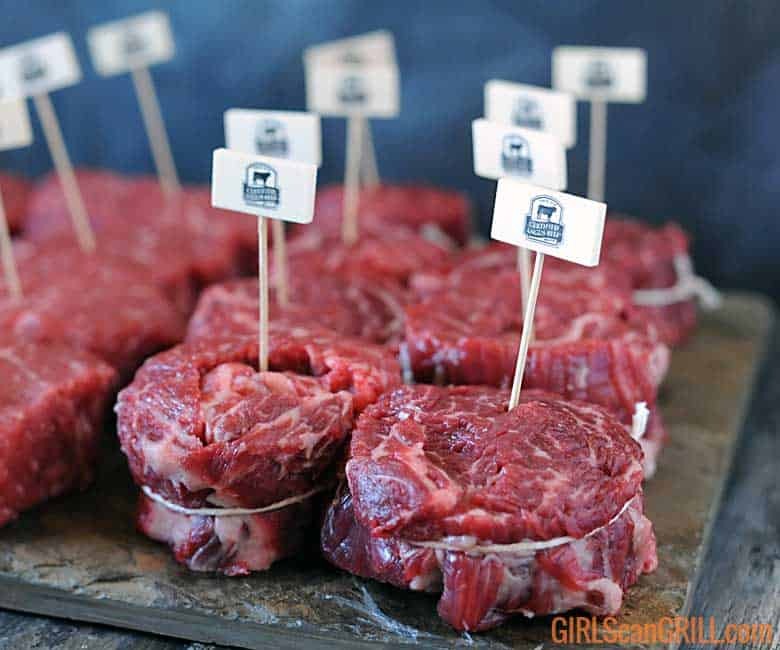 In order to make your steaks more even in weight, tuck the thin end in about 3 inches. 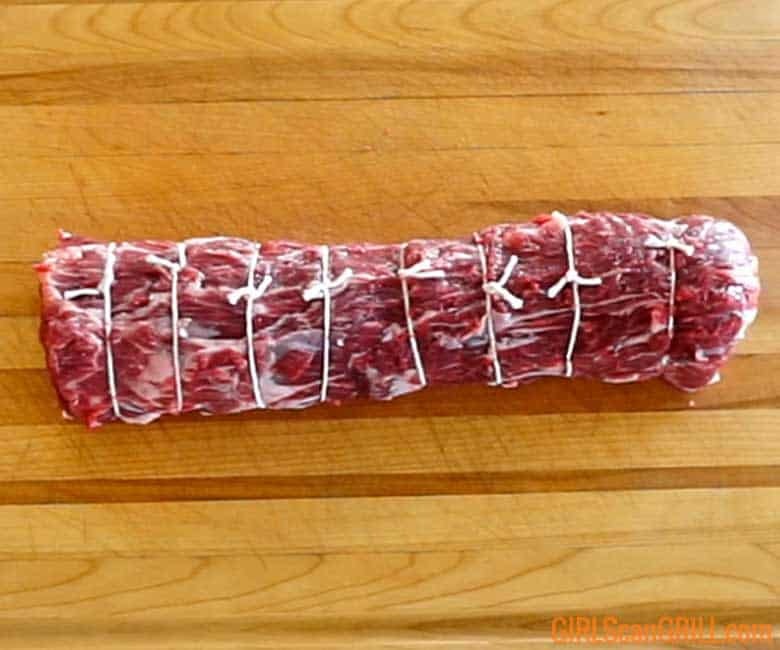 Roll the meat into a log. At this point, I weigh the meat. 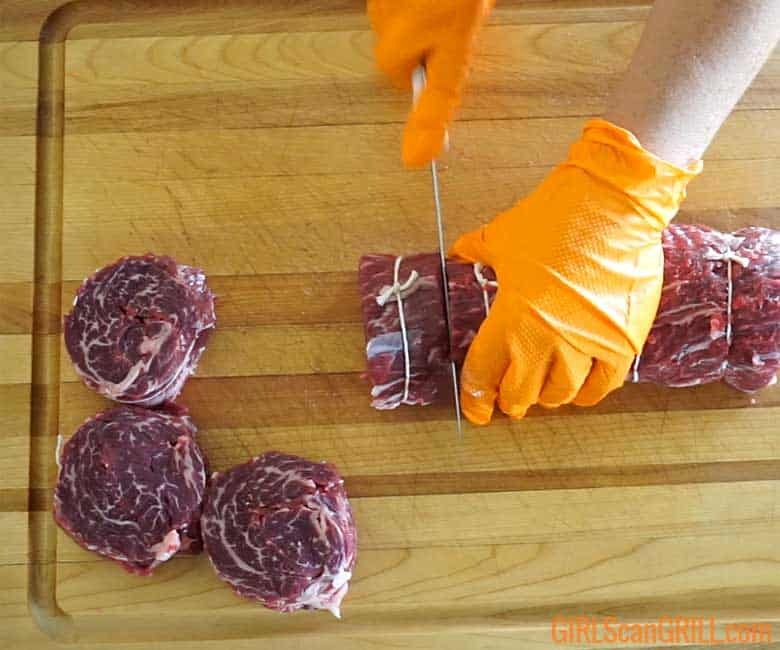 Depending on the portions you like, you can cut steaks anywhere from 4-8 ounces each. I usually go for 6-ounce steaks, so I divide the total weight by .375 to determine how many pieces of twine to use. I was able to get 8 steaks out of this roast. 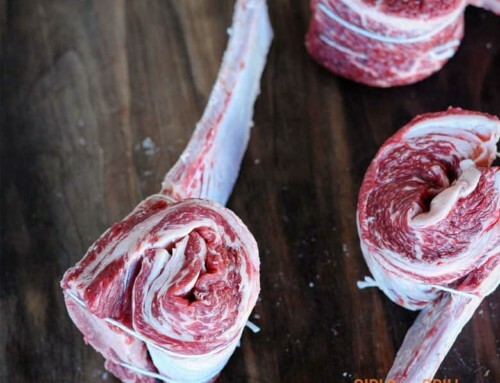 Do you see all of that marbling? That’s not just because this is a ribeye. It’s also because it’s a Certified Angus Beef® brand ribeye. 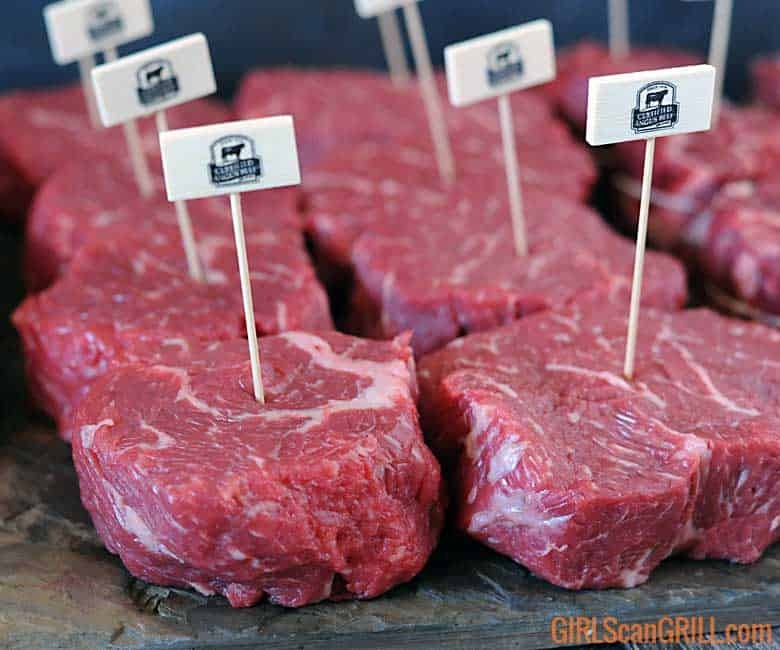 They have very high marbling standards to ensure consistent taste and juiciness. 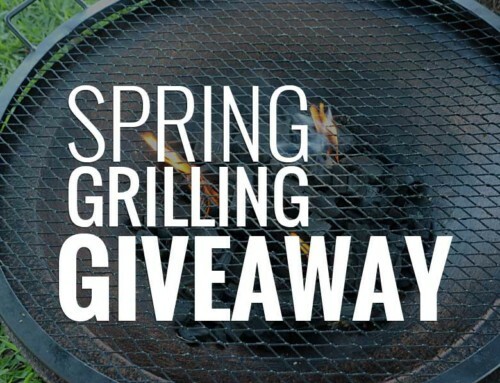 To prepare, season with salt, pepper and garlic powder and grill quickly over high heat. The ribeye filet is the filet mignon’s sexier, more enjoyable cousin. It has less fat than the ribeye cap, but a lot more flavor than a tenderloin because it has more marbling. After the ribeye cap is removed from the roast, you’ll be left with one more separation point – the seam between the tail and the filet. 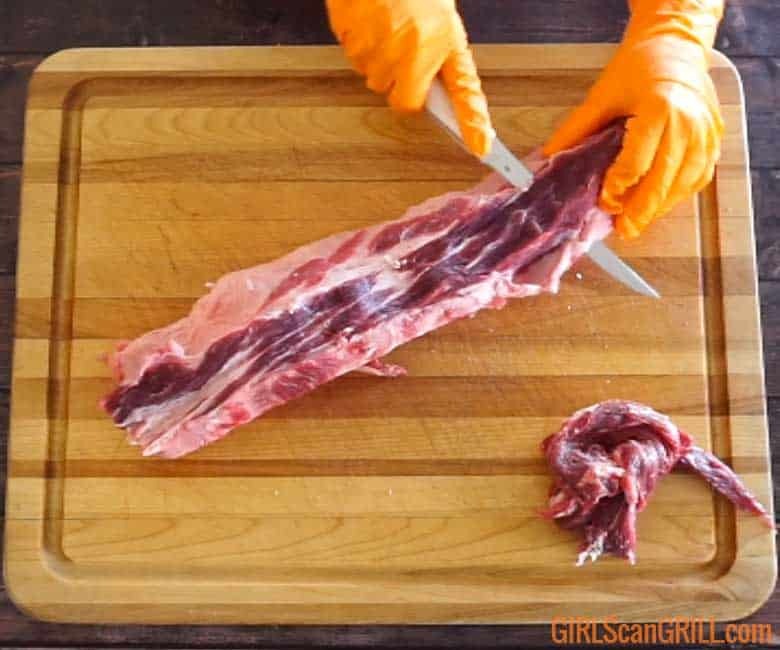 Just like before, work your fingers and knife along that seam to separate the muscles. Trim the fat and silverskin. You’ll be left with what looks like a really long tenderloin. However, this cut is much larger, especially at the end closest to the chuck. Instead of slicing steaks all the way down, find a good midway point, and slice the thicker end off. 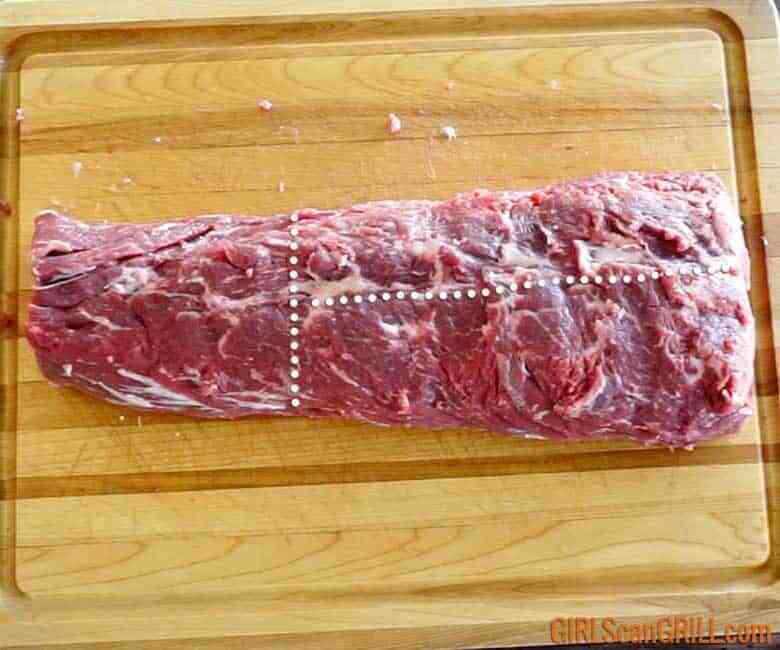 Divide that thick end into two vertical pieces and continue cutting steaks. Again, you can cut to weight to try to make them all even, or you can cut a variety of portion sizes. 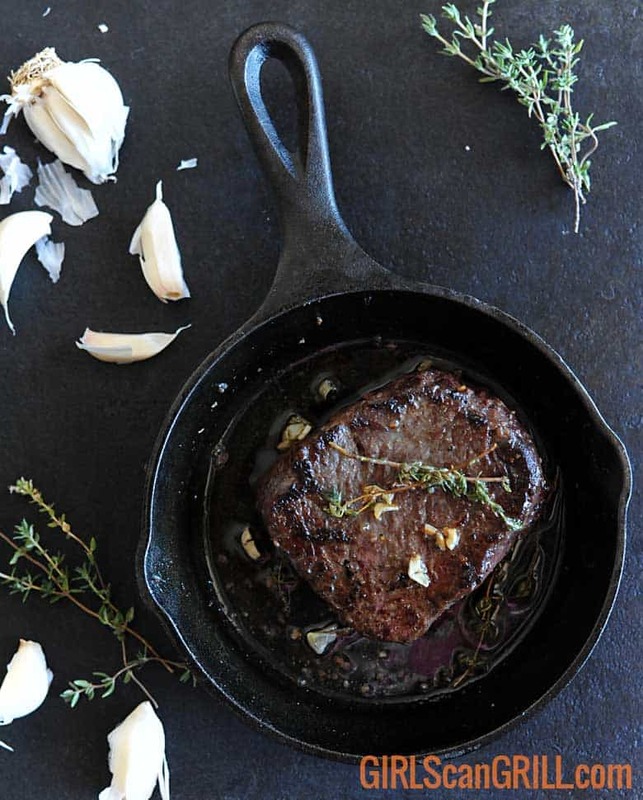 This cut is great seared in a cast iron pan and finished with a bath of garlic butter and herbs. When buying and trimming large cuts, you will end up with some waste, but look closely, not everything should go in the trash. At this point, you’ll have some prime quality meat left, especially from the tail. 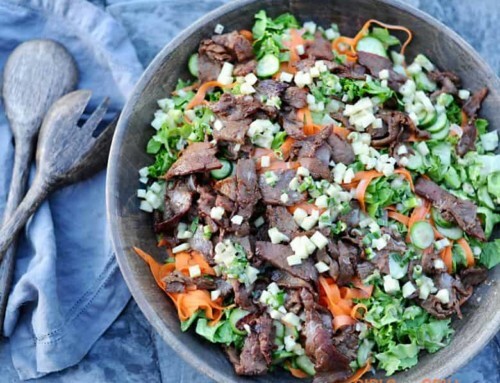 Work through the scraps and pull out the meatiest parts, leaving behind the chewy silverskin. It’s okay to mix a little soft fat in there, too. 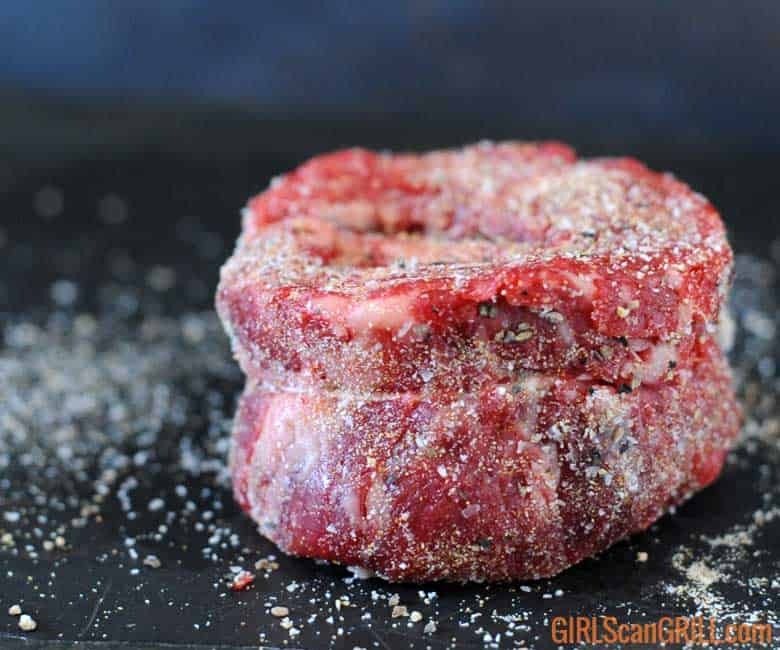 Freeze the meat for 20-30 minutes, and then run it through a grinder. 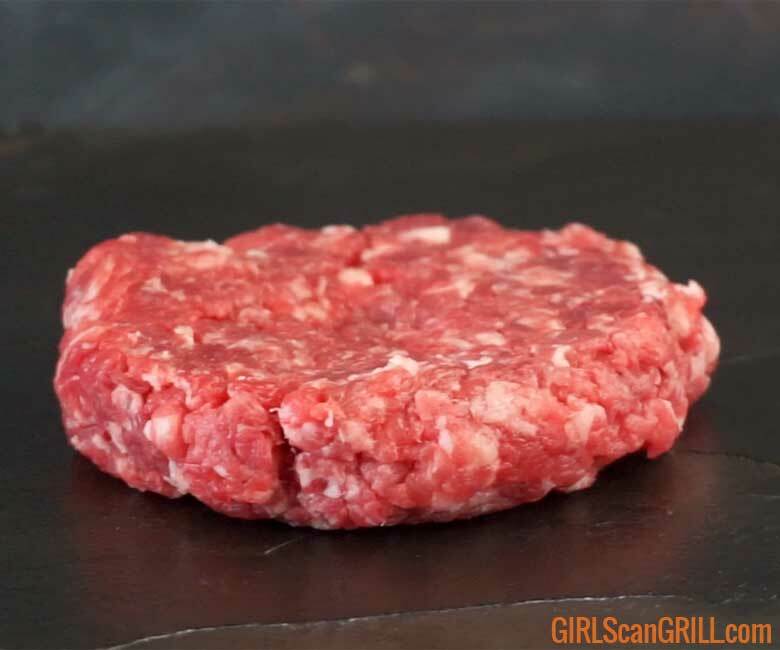 Shape into burger patties, season and grill. These burgers are so good, you won’t even need condiments. I started with a 16.5-pound boneless prime rib roast. After trimming, I ended up with 3 pounds of ribeye cap steaks (8 servings), more than 6 pounds of ribeye filet steaks (16 servings) and 1 pound of ground beef (3 burger patties). 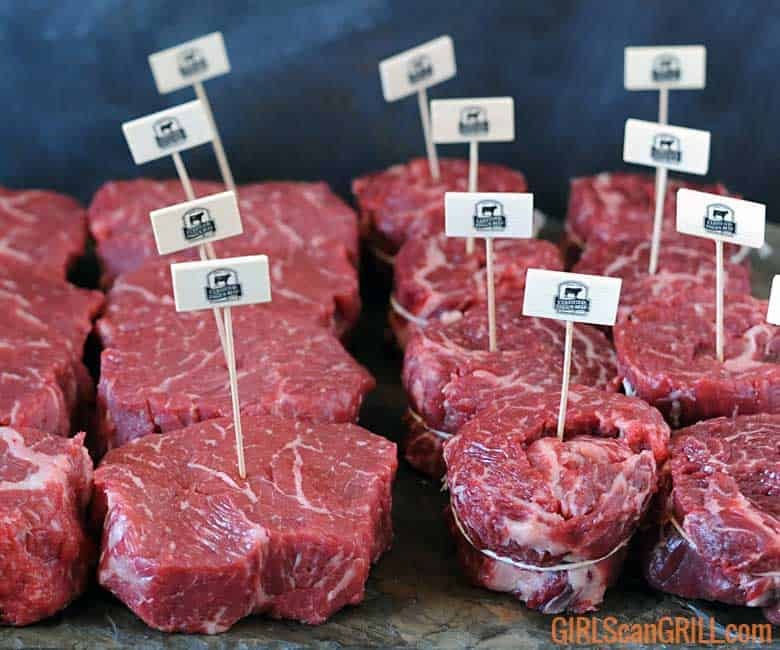 I paid about $150 for this roast and ended up with 24 steaks and 3 burgers. That’s around $6 per steak. 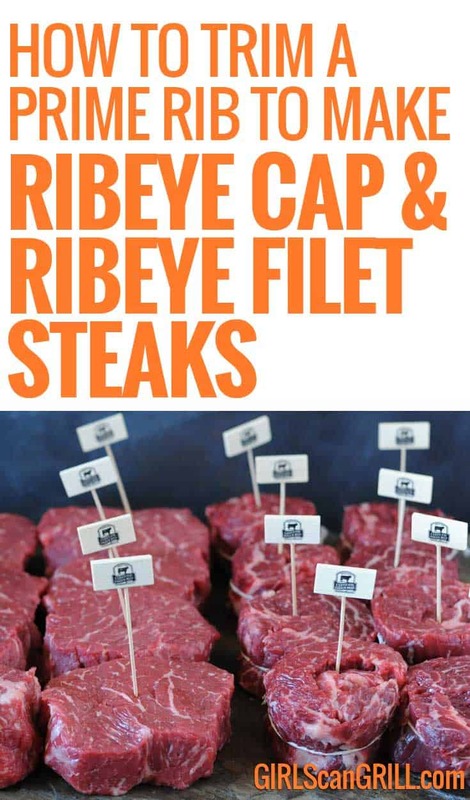 If you order a ribeye cap steak at a restaurant, you’ll easily pay $40-50. 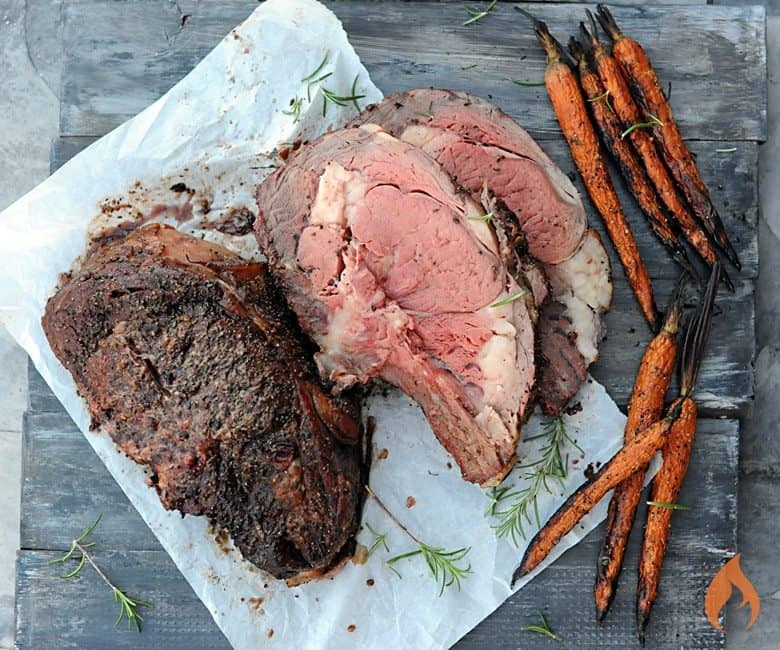 If a full rib roast isn’t in your budget, ask your butcher if he or she can sell a smaller Certified Angus Beef® brand ribeye roast. They usually have whole ones in the back that they’re willing to trim down to meet your needs. You could also experiment with a 1 1/2-2-inch ribeye steak. 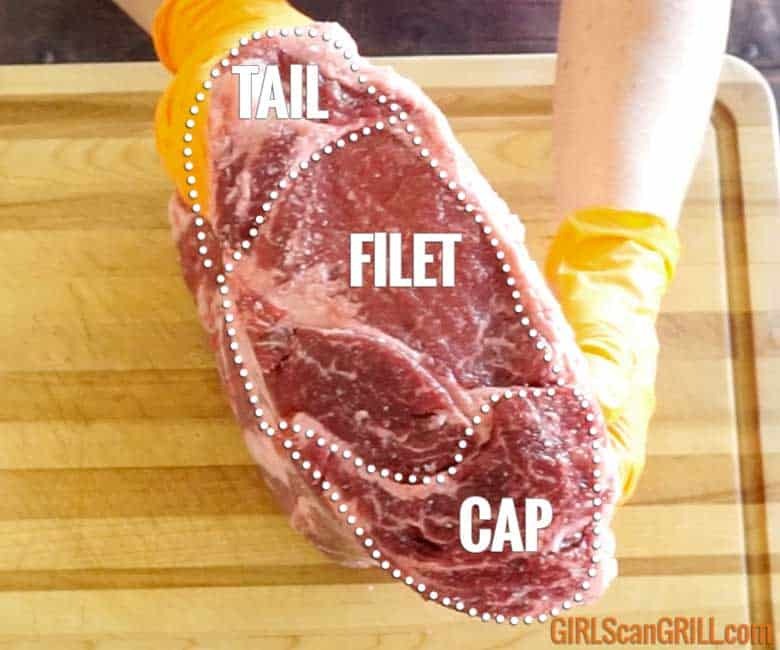 Look for steaks with larger fat caps to ensure you’ll have a good-sized ribeye cap steak. 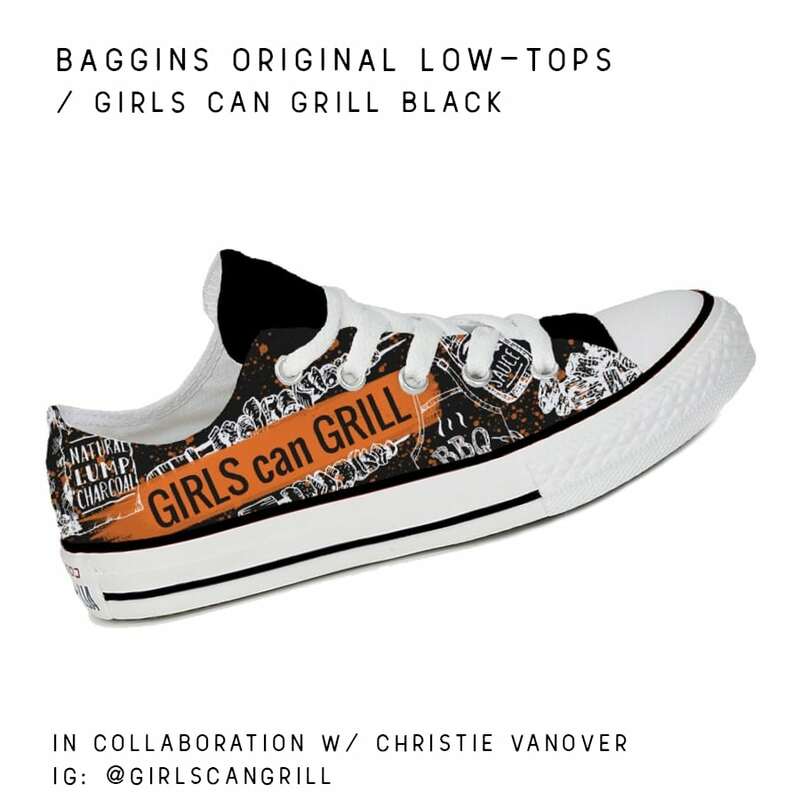 When you make this dish, show off your recipe pictures by tagging #GirlsCanGrill on Instagram. Your photos will be featured on our website. Check out everyone who has tagged their creations. I am in awe! 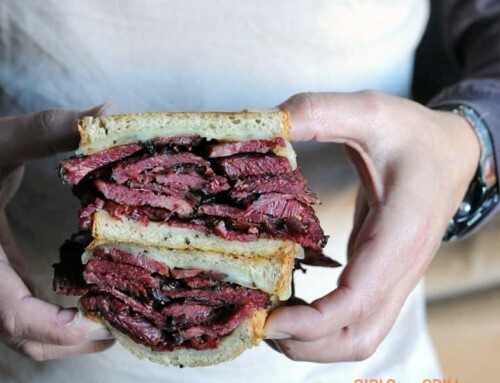 I wish I knew as much about beef. Hopefully, I can learn! Because I LOVE me a rib cap. SO much flavor. Thanks, Christie. Feel free to ask me any questions. Happy to share my knowledge of beef. Hi, this makes a lot of sense now. Thanks. I agree a black iron skillet, seer on both sides, then into an oven for a short time makes the best Ribeye steak. I always tried to get my roasts to be light gray on the outer ring ( the cap) , and then rare once past the layer of fat (the filet area). I always ate the outer layer first, in part because it was well done, so I could reheat any rare pieces later as left overs. But I also loved the flavor, but would have preferred it medium rare. Now i can separate the cap, and cook to temp. Perfect! Glad this technique works for you. That was very helpful for me because I have been interested in “buying in bulk.” I can help but wonder… where did you find a 16 lb prime rib roast for $150? Hi. 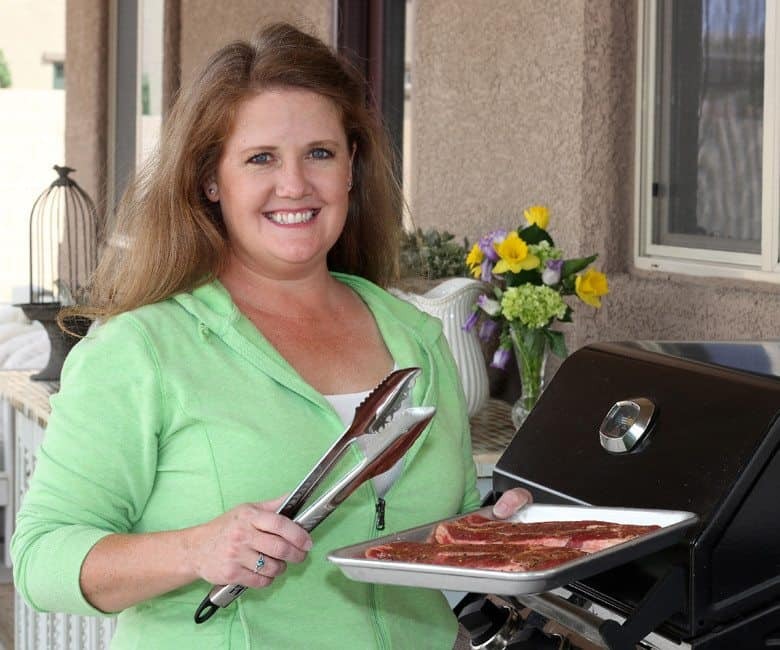 I’m Christie, the girl who is forever hovering over a grill, smoker or campfire with tongs in one hand a glass of wine in the other. 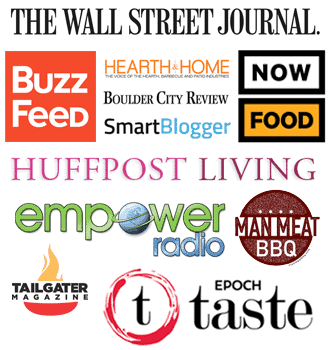 I’m a competitive BBQer, a certified barbecue judge, a masters of beef advocacy top of the class graduate and the owner of more than 20 cookers.